It’s almost the end of the year and that means it’s time for CarGuide.PH’s annual Top 5 Picks. Before revealing this year’s best, now would be a great time to look at the previous winners (2016, 2015, 2014, 2013, 2012, 2011). Regular readers know that our Top 5 Picks is done differently from anyone else. Instead of categorizing and sub-categorizing them (sometimes conveniently to make a brand win), we simply lump everything together. In addition, we only have three criteria for judging: first, it was extensively driven. No around the block test drives, no “first drives”, no ride and drive junkets. They had to be driven on roads we traverse on a regular basis to at least give an apples-to-apples comparison. Second, it should be fairly mainstream. For that, we capped off the list with a maximum MSRP of P 4 million. And finally, it should have been a standout. And when we mean “standout”, it’s a car we think is worthy to actually spend our own money on. This year, there were 39 eligible cars which we whittled down to our Top 5 Picks of 2017.
Who would have thought that by adding a targa-style roof onto the world’s best-selling roadster could change its character and make it feel totally different? Mechanically, it’s no different from the MX-5 (which actually made it to 2015’s Top 5 Picks), but the suspension tuning and all-weather roof has made it much more accessible. Oh, and it still delivers the thrills expected of a true driver’s car (Jinba-Ittai for the win). Diehard BMW fans may cry “heresy” upon hearing of a transverse-mounted engine in what’s essentially a front-wheel drive platform. But BMW has innovated and delivered a family-friendly premium crossover that’s comfortable and every bit fun to drive. Let down a bit by its plain and austere-looking cabin (it’s actually well appointed; better even than its MINI Countryman SD twin), it drives well and is actually quite frugal. If this is proof of how the German luxury carmaker can think out of the box, then the future’s bright for them. Don’t fix what isn’t broken, that’s probably the design brief behind the all-new Subaru XV. It doesn’t stray too far from the formula that brought it instant success the first time around, and for that, lightning will probably strike twice for the 2018 model. It still looks like a jacked-up hatchback, but underneath it actually packs credible off-road tech. While it’s not exactly brisk in a straight line and not frugal either (damn you, CVT), the shift to the future-proof Subaru Global Platform has made it a lot more comfortable, quieter, and smoother. The Subaru XV is a clear reason why some buyers have started to opt for compact crossovers instead of the de rigueur compact sedan. Mazda continues to chart its own path even with more mainstream offerings such as the CX-5. Its tight interior, especially the rear seats is a bummer for families. However, for everyone else, it’s a homerun. It’s premium-priced, but it delivers an impeccable package that ultimately feels like you’re driving a crossover twice its price. We said it before and we’ll say it again: “If life has you being dragged kicking and screaming out of a fun car and into a family vehicle, then the CX-5 ultimately brings that fun back.” Honestly, the only reason it lost out to the year’s Top Pick is its carryover Skyactiv-G engine. If only Mazda had the 2.2 Skyactiv-D available, the tables would have turned. SUV, seven seats, and an available diesel engine: it’s a foregone conclusion that the 2018 Honda CR-V has all the ingredients for success it needs. Yet, it goes beyond that. Get behind the wheel of one and you begin to realize that it’s peppy, comfortable, and very efficient. It’s also well-loaded for its price, shaming even some luxury crossovers. The power lacks the oomph of a typical diesel (yes, it’s merely adequate), but it’s more than enough for Philippine conditions. Plus, the 9-speed automatic masks this weakness with quick, precise shifts. When fully-loaded, the seating may not be as roomy as a typical mid-sized SUV, but think hard enough and you realize: you may not need all that bulk after all. Its car-like driving comfort and added on-the-go flexibility has made it the car that most Filipinos would ever need. I would not vote for them but I would agree at Honda being no 1 for quality and technologically superior engine. The S diesel version would've been the right vehicle with enough safety and tech features except it's way too overpriced. I can afford it but they just pisses me off. I don't want them to get away with robbery. 4 more airbags, push button on/off and 7" touch screen can not justify the 200k price difference with the V version. They could have upped the engine to 160hp and throw in a sunroof for the S but no, Honda's too much of a money monster. They already gave us the weak 120hp why the urge to fock us more? Honda can be so infuriating. Quality? Have you touched their interiors and exteriors recently? They feel and look so cheap. The number one in terms of quality in the affordable segment is volkswagen. You can really feel the quality in their cars from the moment you touch the door handle. I wouldn't buy an overpriced and cheaply built Honda. The only Jap carmaker notable of praise in the quality and tech department is Mazda. Toyota is getting better but their designs are still several notches below Mazda. Overall, volkswagen is the one with the best material and build quality, check them personally and compare a Jetta with a Civic, you'll see. Infuriating? The only thing that fock me the most is haters like YOU! I have been a Honda owner since 2016 and it is perfect for me. And that is why Motor Trend named the CR-V the SUV of the year in 2015 and 2018 because Honda is making high quality cars that can do EVERYTHING I want! Joash you're such an a$s. He's right in saying it's way too overprice. That the 200 k price diff between two variant can not be justified. That's all he's saying bad about it. What are you so defensive about, because you're a Honda owner? Next time before you open your mouth, think. The Jetta we’ve tested was the one MT from when it was first launched and honestly, I couldn’t see what was quality about that. The interior was made of horridly hard plastics. It’s no Golf. As for the Golf GTS and new Jetta or most of their new models for that matter, there is no test drive available for us to evaluate. They offered media outlets an overnight or maximum of 2 nights of testing. This isn’t enough seat time. It doesn’t qualify as a full review. Begs to question there’s probably a reason why they won’t lend any media outlet a Golf GTS or new Jetta despite its heavy promotion, right? I'm talking about the 2017 Jetta that they are offering now, the previous MT was full of hard plastics and devoid of features. You'll love the current one's solid quality. 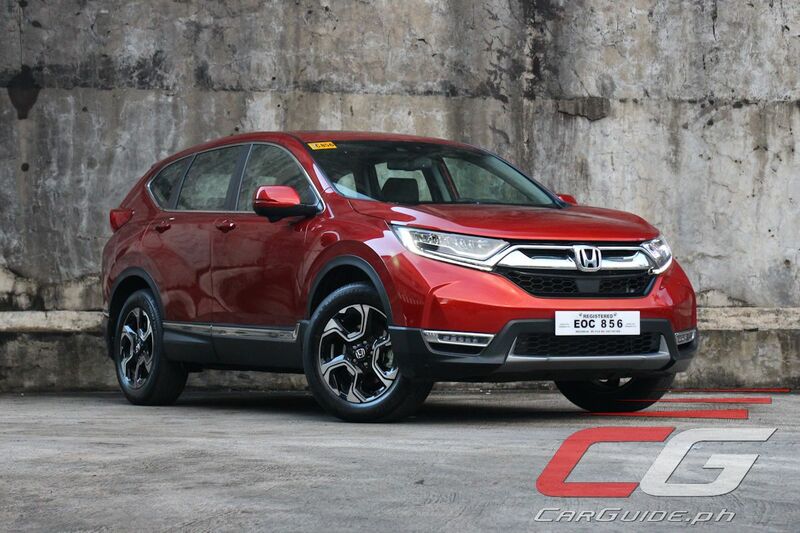 The i-DTEC CRV is yes underpowered but the TOTL variant is adequately priced. You gotta look at the safety tech and goodies that comes with it too. Your BIASED reasons maybe valid if it's priced higher nor the same as the TOTL CX5. TOTL CX5 is 2.2m while TOTL CRV cost 2.058m, that's a difference of 142k. That more than makes up for its lacking, objectively speaking. It's Sir Uly's personal pick and you can't do anything about it. At the end of the day, the CRV has its own negative points, so does your much beloved CX5. Im sorry but cx5 innovation for their diesel engine is way better than honda’s. worth the price difference. I'm sorry too but the real innovation that the CR-V has that the CX-5 (and CX-8) does not have is pure loyalty from consumers like me, unlike some SkyActiv X gimmicks found in every Mazda Car. It's hard to find fault in the CX-5 especially the diesel one. It's hard to justify a non luxury car that is under powered above the 2m price bracket. I'm a former honda fan and I went to Honda's dealership first to check out the CRV. I was love at first sight and very satisfied with the interior, but as a smart buyer, I went to a Mazda dealership to compare the CX5 to the CRV. To my shock and surprise, the design and the materials used in the CX-5 are far better than the CRV. The drive is also more engaging, there's a lot more power on tap and there's the extended 5 year free pms. While in the said dealerships, I checked out the other car models and at that point, I was disappointed with Honda's offerings. While the build quality is decent, the materials used are a notch lower than in the Mazdas and the pricing and value is better. The G vectoring control is not a gimmick, you'll really feel it when carving through corners or in roundabouts. You say it is a gimmick but you haven't even driven a single Mazda to compare it to your Honda. The Skyactiv X is still being tested and is still not available, what the hell are you talking about? So pure loyalty is an innovation? How amusing. 5 years down the line, your CX-5 will have the lowest resale value, period. Anon dec 27, 12:33...why are you talking about TOTL and with another brand. I was talking of the mid spec S diesel compared with Honda's own entry level V which has a price diff of 200k ? I'm not sure how the TOTL compares to its own mid spec S but like the V and S, I'm sure it's way too egregiuos. I hope somebody can prove me wrong. is there a list of the 39 new cars? Click on the Driver’s Seat tab and check out all the reviews dated 2017. Remove those we did a First Drive on and those which aren’t available anymore or not sold in our market. I would like to know why KIA would not sell here the Kia Ray offered in South Korea and also why Toyota does not offer the toyota tank or Daihatsu Thor sold in Japan. I am sure there are interested buyers for these models. The CX-5: a family car that's a bummer for families. Haha! You'll be swarmed by butthurt Mazda fanboys by that. It's fine unless you're over 6 foot tall which most Filipinos aren't. I bet you even haven't sat inside one, let alone driven one. I am five foot ten, slim build, and I'm not bothered by the interior space of my 3. The back is another thing though, only if the driver is similar to my height. I notice that most people over exaggerate the interior space of Mazdas. Another thing, most people that I had talked to have the stereotypical view that Mazda's have high maintenance compared to other brands. That's not true, for more than a year, I've not spent a single peso for maintenance except for the usual car wash and for fuel. And it will be the same for 4 more years and only then will I spend money on regular pms in a trusted shop. All dealerships regardless of brand will charge you a small fortune for their regular pms and the cost after 5 years is similar. Honda CRV Diesel and Subaru XV. Yan ang Tunay na Lalake! Where is Volkswagen GTS? Its the champion of the fuel economy test. Its almost a premium vehicle without the premium price. Drives well too with serious grunt. Its the best bang for your 2017 bucks! We stated our criteria. The cars had to be extensively tested. Unfortunately, Volkswagen hasn’t provided a unit of the Golf GTS and even the Jetta for testing (we wonder why). But for me, I'd always better off with Honda because I am biased. torque kasi basehan dyan. halatang walang alam sa sasakyan. the price point is not that far from each other. I suggest that you give both a test drive to see which one fits your needs better. But in my personal opinion, the XV and the CX-5 are two great vehicles in the 1.5M category. Of course, I do need to ask you again what your needs are? Space? Off-road ground clearance? Ride? Handling? Fuel efficiency? You have to factor all of these in when making a decision. In as much as I like the XV, take note that owning a vehicle equipped with AWD will make it less frugal at the pump and at the same time will have more components to fix in the future. FWD models such as the CX-5 are far more simple to fix...maybe except for the special EFB battery LOL. I want a better in off-road, I Love to travel and do out of town a lot. fuel efficiency is one thing. especially the maintenance, I know both of them is very costly. I do love power a d speed all the time but considering I have a family, It changes me a lot LOL. People buy horsepower, but they use torque. And then there is power to weight ratio. So people should buy vehicles based on what they need, not based on aesthetics alone.